Distributed throughout Canada and the United States by BioTEPP Inc., VIROSOFTTM CP4 is the short- and long-term response to the attack of codling moth, an insect that is still active and found in the major fruit areas of North America and Canada. An effective viral biopesticide, made from Granulovirus cydia pomonella(CpGV), VIROSOFTTMCP4 is only harmful to codling moth, allowing all other beneficial insects to perform their tasks. Used in organic and conventional production, it not only helps to reduce codling populations, but also helps to reduce the spread of chemical pesticides and their residues. VIROSOFTTMCP4 is the short- and long-term response to the spread of the codling moth, an insect found in the major fruit-producing areas of North America and elsewhere in the world. In Canada, it is primarily used to protect apple trees against the codling moth, commonly known as the apple worm.. In the United States, it can be used on apple, pear, plum or peach trees, as well as on nut trees like almond, cashew or walnut. 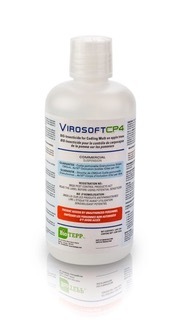 VIROSOFTTMCP4 is a biopesticide that only attacks codling moth larvae. It biologically controls the codling moth by infecting it with a virus, Cydia pomonella granulosis (CpGV).The virus kills the larva before it can penetrate the fruit, thus protecting the crops and ensuring better yields. 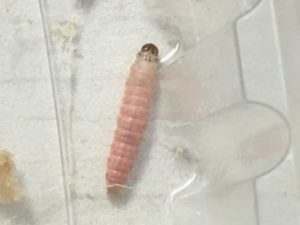 CpGV was isolated from codling moths sourced from Canada’s “Microbial Ecozone 4,” which includes the Great Lakes, North-Eastern United States and Canadian Maritimes.It is a different lineage from the other CpGV-M already used in the field. VIROSOFTTM CP4 is only harmful to the codling moth, allowing all other beneficial insects, like those that pollinate, to perform their tasks. 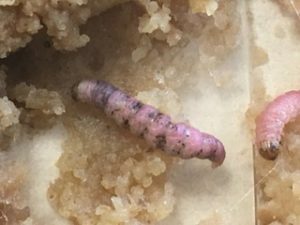 VIROSOFTTMCP4 targets newly hatched larvae before they are able to mature into moths. Once the biopesticide is ingested by the larvae, they die and release more virus particles that are ingested by other larvae. 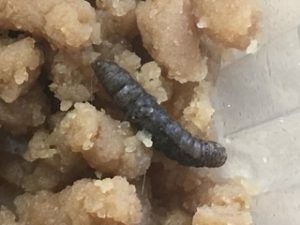 As a result, the number of codling moth larvae is reduced within approximately a week. After a period of time, the overall population is considerably reduced as the virus becomes endemic. Diseased larvae stop feeding and dead infected larvae produce more bio-insecticides. VIROSOFTTMCP4 is a reduced-risk product for human health and the environment compared to conventional pesticides. Used in organic and conventional fruit production, VIROSOFTTM CP4 not only helps to reduce codling moth populations, but it also helps to reduce the spread of chemical pesticides in the environment and on crops. VIROSOFTTM CP4 doesn’t leave chemical residue from end-of-season applications. Also,VIROSOFTTMCP4 is unlikely to cause adverse effects to birds, bees, invertebrates, fish, mammals and plants because its active ingredient does not penetrate plant tissue. Over the years, several clinical trials have been undertaken at Washington State University, Yakima USDA Laboratories, the Pacific Agri-Food Research Center in Summerland, British Columbia, and the Horticultural Research and Development Center in St-Jean-sur-Richelieu, Quebec, to demonstrate VIROSOFTTMCP4’s effectiveness. 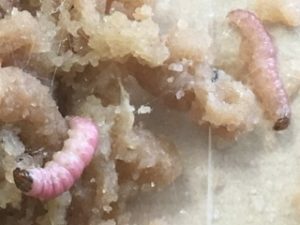 The results showed high codling moth larvae mortality. For example, in one of the trials, the count of adult moths trapped in control plots after the first and second generations were as high as 270. In plots treated with VIROSOFTTM CP4, the count of captured adults was as low as 3 to 30 after the first generation and only 0.5 to 4.5 after the second generation. This represented more than a 98% reduction in the codling moth population. One of the consequences of climate change is the increased activity of parasitic insects, including codling moths. It is one of the most common pests in apple, pear and nut orchards around the world.It causes considerable losses, especially in the production of apples and pears. In addition, damage caused by codling moth larvae are entry sites for fungal diseases and other insects, which also reduces fruit quality. The codling moth may experience more than one breeding cycle, which is why its control is required continuously. VIROSOFTTMCP4 is sprayed into orchards when the moth eggs hatch. Applications should be planned so that the larva can come into direct contact with the product and ingest it before it enters the fruit. It should be applied two to three times at weekly intervals, for a total of two to three applications per generation of insects. Contact your local specialist or certified crop advisors for any additional recommendations regarding pesticide resistance management and/or IPM recommendations for site and pest issues in your area. For more information or to report suspected resistance, contact BioTEPP Inc.
VIROSOFTTMCP4 must be used according to the instructions on the label. Use of this product in a manner inconsistent with the directions on the label is an offense under the Pest Control Products Act or the US Federal Act. Certified in Canada and the United States, VIROSOFTTMCP4 is recognized for use in organic production and is OMRI listed. VIROSOFTTMCP4 has been reviewed jointly by the PMRA and the US Environmental Protection Agency (EPA) within the framework of the Technical Working Group on Pesticides for the Joint Review of Microbial and Semio Chemicals, conducted in parallel to the North American Free Trade Agreement (NAFTA).